This week we read a double portion called Vayekhel and Pekudai. We also read a special Maftir section of the Torah which we read less than a month ago, in the Parasha of Bo. This Maftir is about the Mitzvah of calculating the Months and Blessing the Moon as well as taking control of the Pascal Lamb (a Mitzvah connected to Pesach)and Not eating Chametz during Pesach. This special reading is always read on the Shabbat prior to Rosh Chodesh Nissan. All of these subjects povide us a vaccine against Idol Worship. When one reads these verses it is hard to understand this connection. So let's discuss it a little. In the generation of Enosh (which is a code word for Man who lets his animal instincts control him) We started to prayer to the Sun and Moon instead of /or in addition to Hashem. This tendancy is still with us. How do we know. 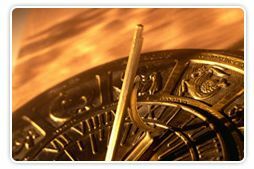 Pick up a newspaper and look for a Horoscope or Western Astrology. People still want to know the future. People still look to the stars to foretell their future instead of understanding the stars are channels for us to receive Tikun opportunities from HaShem. The lamb or Ram (as the Egyptians called one of their Gods) is a channel for the Highest level of the desire to receive for one self alone, in the animal kingdom. By taking control of the lamb for 4 days (from the 10th to the 14th of Nissan) we receive a vaccine to help us control that desire to receive for oneself alone within us. These 4 days represent the 4 worlds that we need to restrict our desire to receive for one self alone. Pesach which is understood on one level as "a speaking mouth" meaning our speaking mouth which gets us in trouble by speaking Lashon Harah (evil speech - one of the idols we find difficult to leave alone). Also by not eating Chametz, which is the channel for the desire to recieve for one self alone in the plant kingdom, we begin to restrict our access to the negative side (the desire to receive for one self alone) during the month of Nissan which can be a channel to getting angry and other types of war. The Zohar teaches that when we get angry we send our Neshama soul back to Hashem and it is replaced with a soul from the Other Side which is considered idol worship. When you hear the Torah reading of the Maftir you are receiving the ability and strength to control all these levels of Idol Worship. Of course you have to know that this is truth to manifest it in your life. The two Parashiot of Vayekhel and Pekudai are very similar to the two Parashiot we read 2 and 3 weeks ago - Terumah and Tetzaveh. The commentators always ask what is taught by this repetition of the same material? One answer to this question is the fact that there are 32 spaces in the Scroll in Vayekhel (12 spaces) and Pekudai (20 spaces). 32 is the Gematria of the word Lev which is Hebrew for heart. The Zohar in these Parashiot teaches about the other side. In essence the information of these 2 Parashiot must be repeated in order for us to receive fully the vaccine against idol worship and other tools of the other side. Why do we need to know about the other side - the negative side? why can't we just ignore it? The Zohar in essence teaches us that we must know our enemy so that we don't fall to our enemy, the desire for oneself alone. The other side (The Satan) is very sneaky and insidious. After all, it is doing the job that HaShem gave it to do. A job he has over 5770 years experience doing. The question is are we doing the job that HaShem gave us to do? Are we? Do we try to create unity? or do we want it our way and thereby create separation? The heart of the Torah is also the heart of the other side. It is only by our cleaving to Hashem that we can learn to tell the difference. The spiritual comunication system is used by both the Torah and the Other side. It is hard to tell which side is giving us messages without learning how to tell the difference. That is why the Rabbi's tell us that, in this generation, it is truly beneficial to study Kabbalah and to read the Zohar. Please sign up for a daily email. Please sign up for our weekly emails. Please go to the website English Kabbalah Classes and start learning! Verse 32: Thus was finished all the work of the tabernacle of the tent of meeting; and the children of Israel did according to all that the LORD commanded Moses, so did they. Verse 42: According to all that the LORD commanded Moses, so the children of Israel did all the work. These verses express similar ideas. Yet we are taught that there is no letter or word that is unnecessary in the Torah, nor is there any letter or word that can be added as this will make the Torah less than the perfection it is now. So what can we learn from these 2 verses that express such similar ideas. It is only through the teaching of the Simple level of Kabbalah that we can get an understanding of the awesomeness of our Torah. Verse 32 has 17 words while verse 42 has 13 words. 17 is the Gematria of Tov or good while 13 is the Gematria of both Ahava and Echad - Oneness and Love. Do you see the beauty of this connection? Please read the email from the Parasha of Vayechi to understand the Kabbalistic Minhag of saying Chazak, Chazak, Chazak, Veyitnazek!